Global Fashion Citizens is hosting its biggest event in the organization’s history on Sept. 23, combining its mission for sustainability with multiple large, well-known organizations on campus. 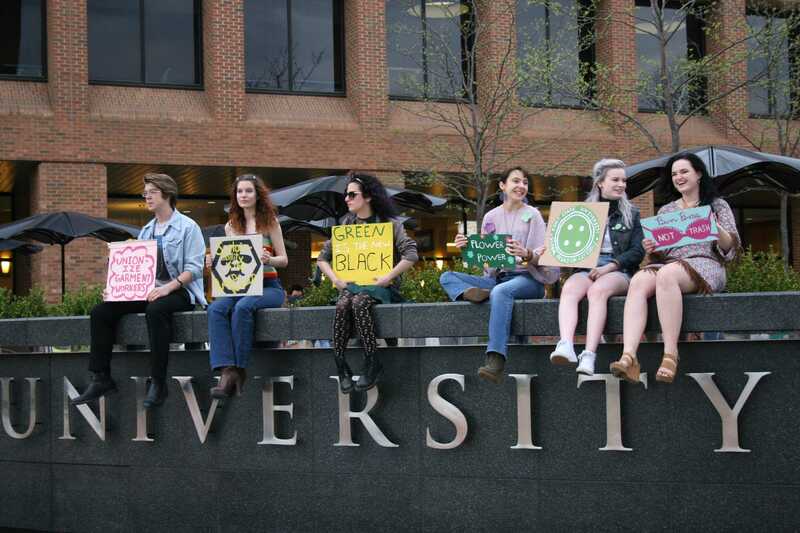 GFC has held clothing swaps in the past, but is looking to expand the reach of the organization this year, starting with the combination of both Greek life and activist organizations on campus. Cunningham says the reason for partnering with the organizations is personal. Rogerson says the clothing swap is a great way to meet people and get new clothes. She says it’s a win-win situation. A clothing swap gives people the opportunity to bring in clothes that may not be of use to them anymore, but they think someone else might need. Cunningham says it’s important for her organization to expand because of the trends in the fashion industry today. Cunningham believes that people don’t know how to responsibly recycle their clothing and instead of being reused or recycled, the clothing ends up in a landfill. Cunningham wants people to reduce their clothing impact by buying less so less waste is created. Cunningham created GFC in fall 2015. She felt there was no organization on campus that did what she was looking for. Along with its meetings, GFC holds a variety of other events on campus that include documentary showings and an annual fashion show. Rogerson says GFC is important to her because as a fashion student sustainability is something you can’t ignore, and students should be aware of it. Cunningham says she wants students who come to the meetings to feel inspired and feel obligated to incorporate sustainability into their careers. GFC’s next meeting is on September 21 at 7:30 p.m. in the Rockwell Hall Atrium (left side). You can follow GFC on social media @kent_gfc.